My daughter loves creepy crawly creatures. Yesterday, we had a family photo shoot with a photographer in a nearby field. There was a snake slithering through the field where our photos were being taken. While the rest of us tried our best to avoid the snake, my daughter went towards it. “I want to see the snake.” “I like snakes”, she told the photographer. She does like snakes… a lot. 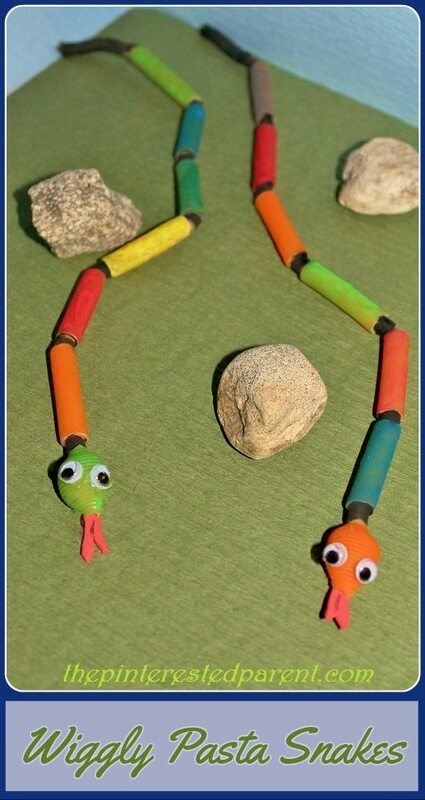 If you have a child that likes snakes as much as mine does, here is a fun craft & fine motor skill activity. 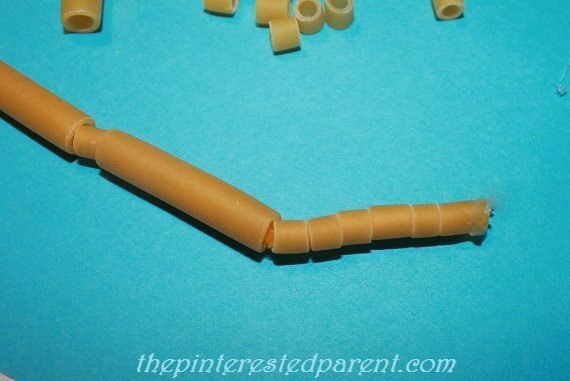 String & alternate ziti & ditalini pasta onto a pipe cleaner. Leave about an inch off on each side. 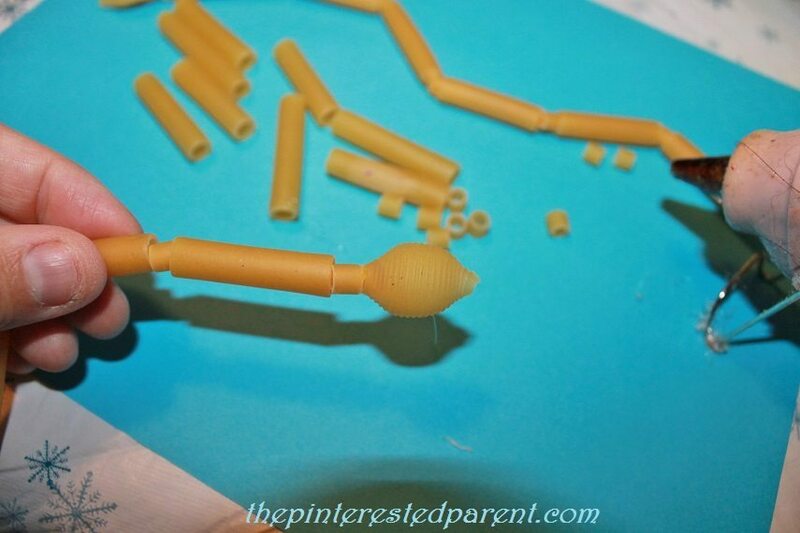 Glue a pasta shell to the other end for the head. 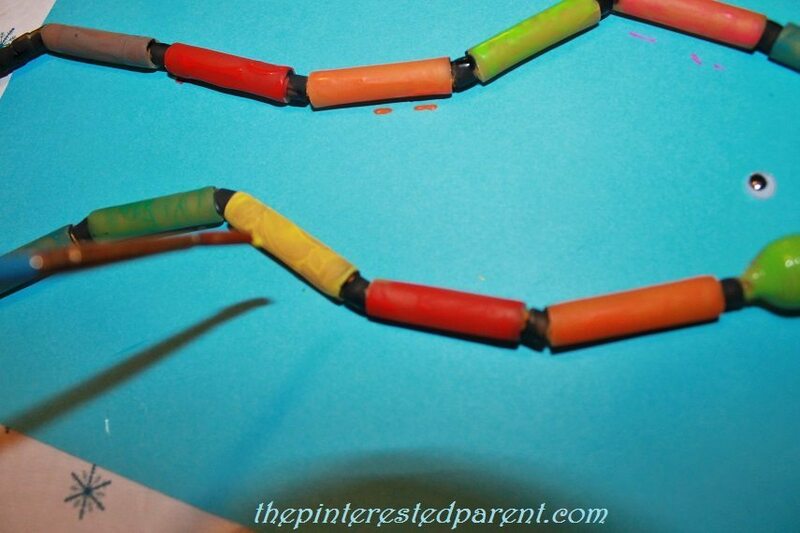 Paint your snake & let it dry. 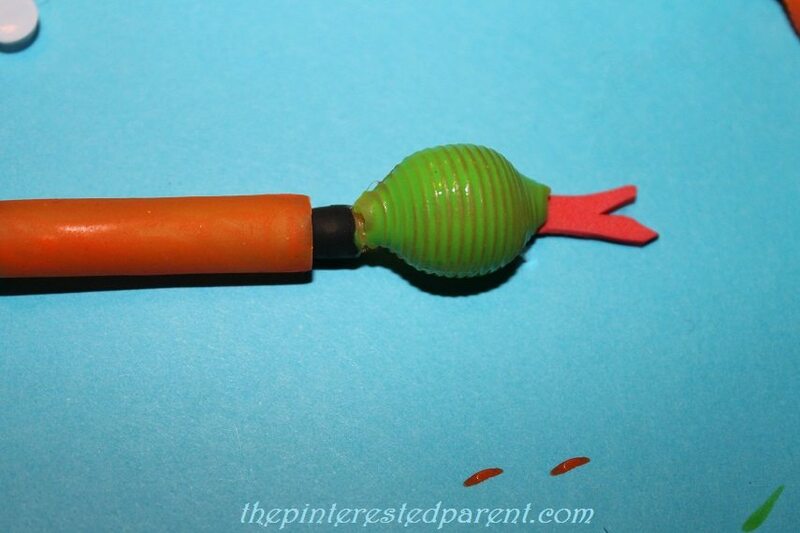 Cut a tongue out of foam or construction paper & glue it to the shell. 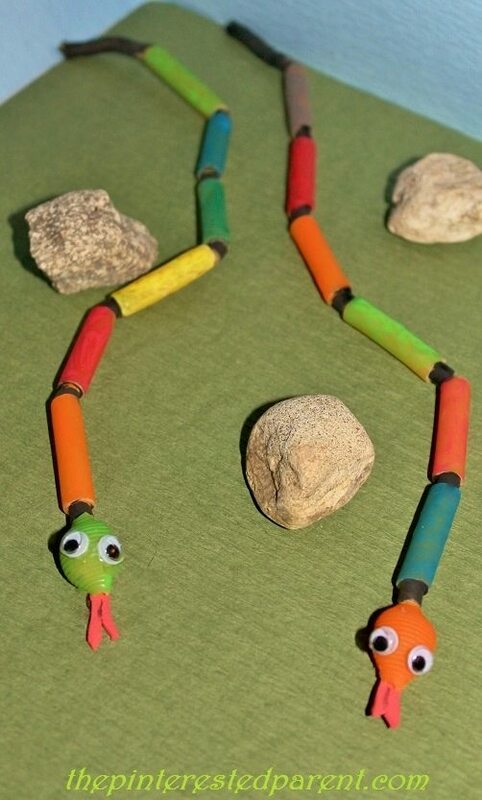 Add googly eyes to complete your snake. 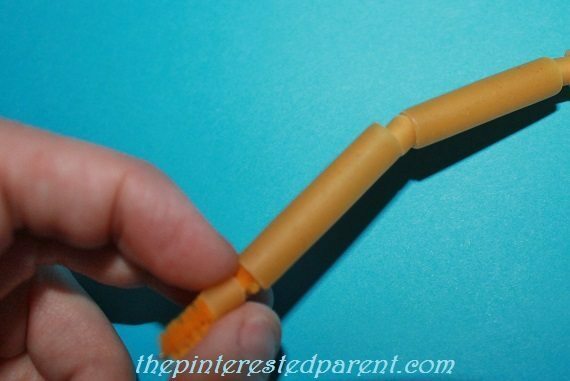 your crafts are always so cute and creative! Thanks for sharing at our FB Share Day!